Just a few days after the intense battle by the Black Sea in Sochi, Formula One is back in action. This weekend, the Moving Circus 1 visits Japan, a country with a unique culture admired by many. 2. The track is 5.807km long which puts it among the longest circuits on the current calendar. Drivers have to complete 53 laps in the Japanese Grand Prix to complete the total race distance of 307.471km. The start and finish lines are not identical on the Honda-owned track. The offset is 300m. 3. The lap record is held by Kimi Räikkönen who clocked a 1:31.540 in the 2005 Japanese Grand Prix in his McLaren when he fought his way up from the 17th starting position to the front to win the race. 4. For 2018, the 5.807km-long Suzuka track has gone through a couple of changes. New double kerbs have been installed on the exit of Turns 13 and 14, the two bends which are nicknamed Spoon. 5. Michael Schumacher is the most successful driver at the Japanese Grand Prix with six victories, winning for Benetton in 1995 and Ferrari in 1997, 2000, 2001, 2002 and 2004. Second on the list are current drivers Sebastian Vettel and Lewis Hamilton, both of whom have four Japanese GP wins. 6. Of the constructors, McLaren are the most successful at the Japanese Grand Prix with nine victories. Two of those wins were scored in Fuji, while, at Suzuka, McLaren and Ferrari have both won seven race apiece. 7. Michael Schumacher is the king in the history of the qualifying sessions of the Japanese Grand Prix. The German grabbed the first starting place on eight occasions. The pole position is, however, less critical at Suzuka. Of the 29 races to date, the driver starting from the pole won only 14 times. 8. In all, 20 Japanese drivers have made F1 appearances, with 17 making grand prix starts. Currently, there is no active race driver from Japan in the field. The first ever Japanese driver was Hiroshi Fushida who entered two GP weekends in 1975. However, he failed to start on both occasions as a blown engine prevented him from starting in Netherlands and he failed to qualfy in Great Britain later on that year. The last Japanese F1 driver was Kamui Kobayashi who ended his Grand Prix career in 2014. Only three Japanese drivers have scored podium finishes at their home race: Kamui Kobayashi, Aguri Suzuki and Takuma Sato. 9. In the absence of the Formula 2, GP3 and Porsche Mobil 1 SuperCup series, Formula One’s sole support series is the Porsche Carrera Cup Japan. This is known to be the fastest of all one-make car race series in Japan. Since the very first event held in 2001, this year marks the 16th season for this popular series. 10. 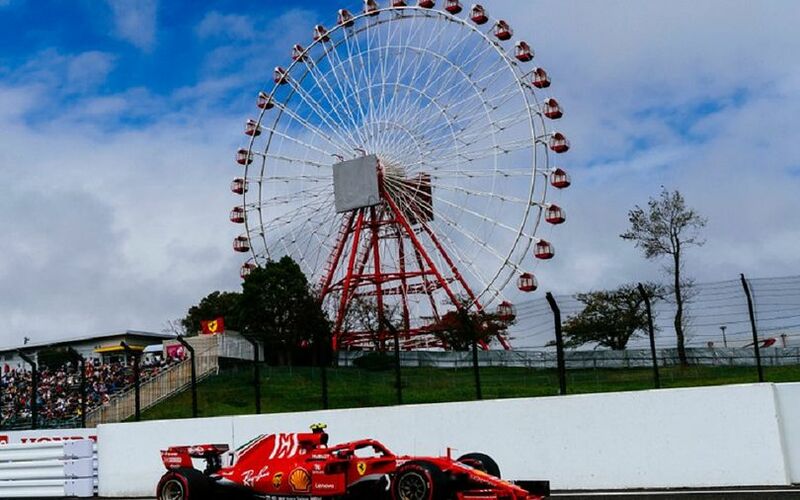 As the backdrop of the circuit suggests, the Suzuka race track offers more than racing. It is a totalized park facility featuring a resort-type hotel, variety of gourmet restaurants, a very popular amusement area and other recreational amenities. The S-Plaza offers a series of bars, restaurants and cafes. The bowling alley features 38 lanes. The amusement park offers about 30 varieties of amusement rides. The Suzuka Circuit Hot Spa is the best place to gain relaxation with its indoor and outdoor baths, saunas and water-jets.